The new Zacharias book, Why Jesus?, is a bit similar to one of his most popular books, Jesus Among Other Gods. Like the former, Why Jesus? illustrates how Jesus is different from the other religions and teachings in the world, and why He alone is the way to eternal life. Why Jesus? concentrates more on dissecting a particular trend, the New Spirituality of Western culture, and shows how they misconstrue Jesus' message and lead the Western audience into futile philosophies. The book begins in an engaging manner by opening with a description of the film Inception, linking the movie's dream-reality dilemma to our present situation with spirituality: What is real and what is imagined? As you can probably figure, Zacharias uses this as an analogy to describe the dream that is New Spirituality, that it's a myth entirely based on fiction and contradictions, and over time it has become so immersed into the minds of people in our society that it now appears to be a reality to many. In the next few chapters, Zacharias speaks about various New Age figures in the media today, including Oprah Winfrey and Deepak Chopra. Zacharias explores each of their views and critiques them from a rational and philosophical mindset. Then in Chapter 6 and a few chapters after, Zacharias speaks about Hinduism and how much of the New Spirituality is basically Hinduism (and Buddhism) at its core, repackaged and represented to the Western audience, which really makes no demands on its participants, but caters more to psychological needs and is based on relativism. In the last few chapters, Zacharias explains the uniqueness of Jesus and how He is the answer to the human longing that New Spirituality cannot fill. The book is a solid one. It is an excellent critique on New Spirituality and shows how that mindset is flawed and not grounded in truth. The author does an interesting job of exploring the influences of New Spirituality and linking it to its Hindu and Buddhist roots. However, the discussion on "Why Jesus" seems to be lacking a bit. The book seems like it could have been titled "The Silliness of New Spirituality" rather than a book about Jesus. Jesus was only discussed in depth in the last few chapters of the book. It would have been great to use Jesus throughout to illustrate who He is and how He would respond to the theories and philosophies of pop culture today. More importantly, the author should have talked more about the gospel message, because if this book is aimed at nonbelievers as well (with the hopes of bringing them to saving faith), we want to see why Jesus is so special, and the gospel message of His death, resurrection, and salvation has much to do with that. This is what distinguishes Jesus from the other religions in the world. Regardless, the book is still a very good one, well written and intriguing. Overall, I give this book a good recommendation. 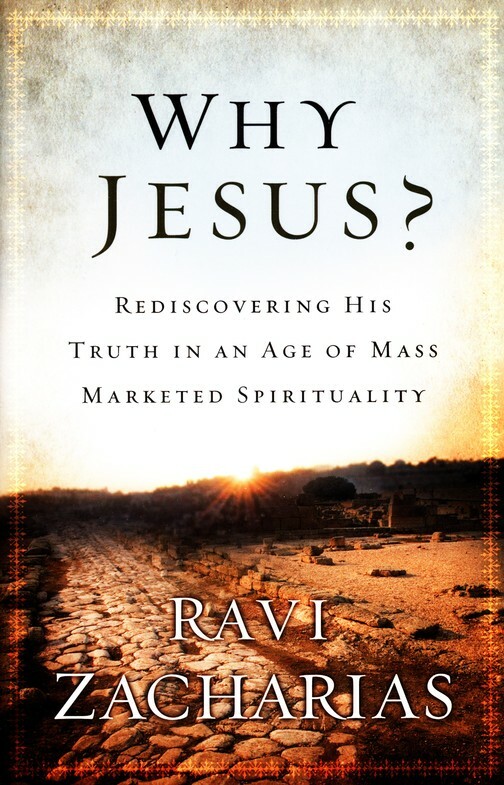 You'll definitely like it if you want to know more about the truth of New Age Spirituality and why it can't compare to what Jesus offers in His salvific plan. I think this is a good book to give to people in New Age Spirituality who want to know more about the truth of their own practices and the truth of Jesus. I wouldn't say this book is the perfect evangelistic tool, but it's a good starter to start stirring up thought and curiosity. 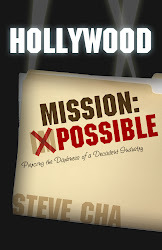 On a side note, if you want to read of an amazing story of the gospel message piercing a dark and godless society, please consider my book Hollywood Mission: Possible. This book tells the true story of a Christian who spent three years in Hollywood evangelizing famous celebrities. Stories in the book include Steven Spielberg, Harrison Ford, Dan Aykroyd, Brad Pitt, and many other stars. Discover Hollywood's shocking reaction to Christianity in this unprecedented and revelatory book, which was featured on CNN.com and Christian Post. The Good News About The End of Christian America. This seems to be the tagline theme to Gabe Lyon’s latest book, The Next Christians, which has garnered much media attention because of Lyons’ new theory and vision of Christianity in Western culture. Subject matters like these, which appear seemingly anti-orthodox and anti-fundamentalist, are always bound to be controversial, being accepted by postmodern and progressive Christians while being rejected and critiqued by traditionalist Christians. The question is: Is the book biblically sound? That’s all that should really matter to Christians who seek after truth and wisdom. The author begins by laying down the problems of Christianity in the last century. The influence of Christianity is fading in both America and Europe, and secularism is becoming more widespread with each passing day. Lyons describes the types of Christians in America today, distinguishing between the separatist Christians and the cultural Christians. Lyons describes the separatists as those who stay within Christian cliques and activities, seen by unbelievers as awkward, judgmental, and seclusive, and criticize the problems of the nation without offering any real solution to the problems, while the cultural Christians are those who are blenders (nominal believers who only profess Christ but live like the world) and philanthropists (believers who do acts of charity but don’t preach the gospel message). Lyons uses the rest of the book to describe the solution to this problem. What kind of Christians are we to be then? Lyons has great optimism for the spiritual direction of America because he sees the “Next Christians” as the answer to Christendom. The Next Christian is defined as a believer whose overarching mission is to infuse the world with beauty, grace, justice, and love, to restore the world to what it was meant to be and work toward that vision, or mending earth’s brokenness. They don’t segregate from the world or blend in, but engage in it as a restorer, giving balance back to God’s story of the Creation, Fall, Redemption, and Restoration by emphasizing the Creation and Restoration aspect, and not merely the redemption and fall (or evangelism for the soul’s salvation). From Chapters 5-10, Lyons describes the six characteristics that set apart the Next Christians. They are: 1. provoked, not offended, 2. creators, not critics, 3. called, not employed, 4. grounded, not distracted, 5. in community, not alone, 6. countercultural, not “relevant.” The author ends on a hopeful note that we are in a new phase of history where God is working a new program to raise up these New Christians who will be the dominant force in Christianity, changing the world, as Martin Luther and the Reformers did with the Protestant Reformation about 500 years ago. There are both strengths and weaknesses to Lyon’s theory and solution. The good thing about this book is that it provides a sound analysis of the state of Christianity today and what types of Christians are out there, and what their impact is on society. Lyons is pretty spot-on in describing the problems and trends and even illustrating the importance of bringing righteousness, justice, and healing to a broken, unbelieving world. The six characteristics of the Next Christian is a biblical model for how Christians are to be and how they should interact and relate to the world, striking a good balance between separation from the world’s ways, but at the same time, actively engaging in the world to win people to Christ. Now here is where the problem comes in. This theory of the “New Christians” as the correct and long-missing form of a true believer in Christ is simply not true. That means that Christendom has gotten it wrong for the past 2,000 years and now Lyons’ is the one who finally brought back the form of Christianity practiced by Jesus and the apostles. The Next Christian movement is really another sect of the social gospel movement (or social justice) movement, which many orthodox evangelicals do not accept as the true definition of the gospel message. Although there is much overlap between the expectations of a Next Christian and a biblical Christian, there is also a crucial difference, which is in the area of a Christian’s mission in life. Lyons’ believes that the sole missionary purpose of Christians is to fix the problems and injustices of this world, or to restore things back to the way it used to be (creation) and what it will be in the future (the New Earth). According to Jesus’ words in Mark 16:15, Matthew 28:19, and Acts 1:8, the mission of the Christian, and the church, is to preach the gospel to all creation and disciple them in the ways of Jesus. Even Jesus stated that His purpose on earth was to seek and save the lost, or evangelize unbelievers to be saved from sin, death, and eternal hell. Yes, Jesus performed signs, wonders, and miracles to help those who are sick, needy, and poor, but these acts of power and compassion were displayed mainly to authenticate His messianic and Lordship claims, which in turn was designed to point people to the gospel message of eternal salvation. For without salvation of the soul, there is no participation in the New Earth, which means no eternal healing, joy, and fulfillment, but eternal suffering, sickness, and torment in the lake of fire. The Bible says that Christians should participate in acts of charity, mercy, and justice for the poor, afflicted, sick, and broken, but in no ways does Scripture imply that we are to create the kingdom of God here on earth or usher in Jesus’ second coming. Scripture even prophesizes that in the final days before Jesus’ coming that the world will be filled with unspeakable sin, apostasy, disease, natural disasters, and environmental destruction. So it’s not really the church’s responsibility to perfect the disorders of this world. Its main task is to proclaim the truth of God’s Word to a perishing world so that they can get saved and consequently sanctified in God’s commands. The Christian’s works (or being salt and light to the decaying world) should be performed to aid the glory of evangelism and the Great Commission, not to replace it. In conclusion, The Next Christians isn’t a book I would highly recommend, but if you wish to purchase a copy, you will find many good things to read about that will prove valuable to Christian discipleship and growth. If you are interested in this topic of living out a Christian worldview for the redemption of culture and society, a better book I would recommend is Nancy Pearcey’s Total Truth, which better describes the relationship between evangelism and acts of charity and redemption. 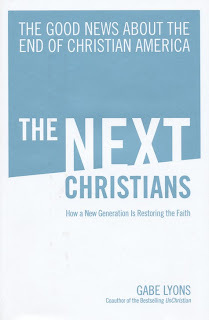 Overall, The Next Christians is a solid book, but not an outstanding one. It’s not entirely biblical but not heretical either.